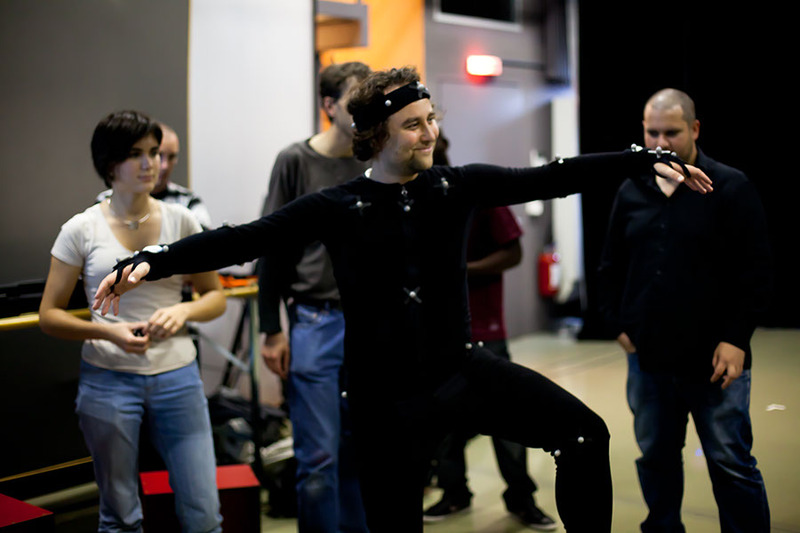 Last Thursday, the students from the Digital Film Animation Program of SAE Institute Geneva came to our studio for a great workshop on motion capture. After 5 hours of theoretical lectures, the students were able to discover our motion capture studio and get their hands on our Vicon system. The first step was to learn how to calibrate properly the system: camera parameters adjustment, reflections, wand wave and finally setting up the origin of the system. Once this was done, they quickly dressed up and started to position the reflective markers on the actors. Care was taken not to forget one! The next step was to calibrate the actors. 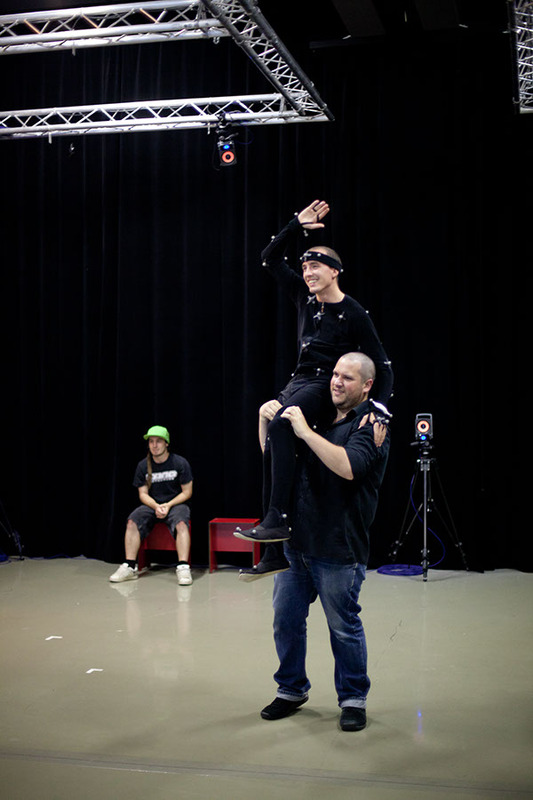 A range of motion was first captured and then processed to fit a virtual skeleton to the performers. Last check: no marker is missing, reconstruction is fine, the labeling and the solve is ok… Good! Now let’s capture something! During the afternoon, a few movements were captured and then post-processed. The students were also able to preview in real-time their animation in Motion Builder. A lot of fun but also a nice way to check how the actor performance will be transposed to a 3D character.